TeamDrive is an application designed to help you transfer and synchronize data across multiple computers that are both online and offline. The application is easy to install and requires no complex configuration. You merely need to have an account to the cloud service that is used to store the data that is to be synchronized. Afterwards, you create a space that you want to share, invite another user and start syncing. 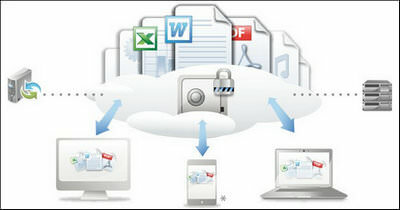 The files that you upload to the cloud are automatically transferred to the computer that was invited. A feature that makes TeamDrive very practical for both small and big businesses is the fact that once this connection between the computers is made it automatically synchronizes the folders whenever something changes. If you have 10 systems connected, when you upload a file from one the content of the shared folder is automatically updated to all of them. This applies to offline use as well. If the synchronization occurs when your computer is shut down the files are transferred when it goes back online. Looking at a bigger picture, if you’re working on a large scale project with people that are in different locations, the solution that TeamDrive offers is as efficient as possible. Moreover, your data is encrypted using AES (Advanced Encryption Standard) which means that no one except those with whom you choose to share the data can access it. With that in mind it’s easy to see the full potential of TeamDrive. 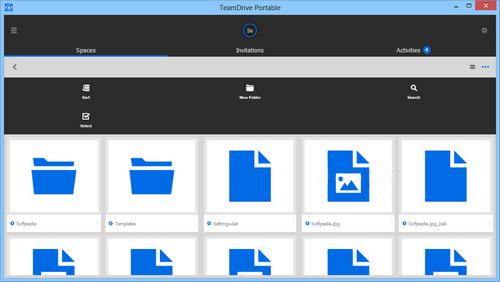 And if you’re still not convinced, think of TeamDrive as a means to backup all your important data and store it on a cloud system. 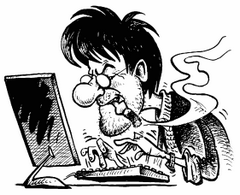 You can then access it from anywhere and recover your files and documents in case your personal or work computer malfunctions beyond repair or is corrupted.